Swollen gums are a common health problem. The tissue forming the gums is full of blood vessels, so when there is a swelling in your gums, they may bulge out and look red. This can make your gums sensitive, irritated and even painful. You can have bleeding gums when brushing or flossing the teeth. Fortunately, you can reduce the swelling of gums by maintaining proper oral hygiene and applying some home remedies. Nonetheless, if the symptoms of swollen gums persist for more than 14 days, you should see your dentist. If you are suffering from swollen gums with pus, you should not feel so worried because this oral problem is not harmful and it can disappear within a few days after you apply some of the home remedies. Now, in this article, Healthy Guide will show you some of the simplest home remedies for swollen gums and cheek. I. What Are Swollen Gums? Poor oral hygiene: Swollen gums occur when people brush their teeth improperly or they do not brush regularly. Smoking: Smoking can increase the risk of developing gum diseases, including swollen gums. Certain medications: The use of anticovulsants, antidepressants and heart disease drugs can be a cause of inflammation and swelling in the gums. Pregnancy: During pregnancy, increased fluid retention and blood flow in the body can contribute to the inflammation and swelling of gums. Read on What Causes Canker Sores On Gum And In The Throat – Top 17 Causes to discover some of the most common causes of canker sores on gum and in the throat. List of 20 Home Remedies For Canker Sores On Tongue, Gums And In Throat will show you some of the best natural treatments for canker sores on tongue, gums and in throat, so check it out! Fortunately, there are a variety of natural treatments for swollen gums with pus that you can consider applying at home for good. Actually, all of these natural treatments can help you get rid of the swelling and inflammation of your gums without causing any side effect. So, you can feel secure when applying of these treatments at the comfort of your own home. This should be the first way on how to treat swollen gums and cheek that we want to mention in this article and want all of my readers to apply for good. High levels of stress can affect your oral health in some ways. It can give a rise to inflammation in the body, making your gums more painful. Also, stress can reduce the functionality of the immune system, making it harder for the body to fight against the infection. Besides, when you are stressed, you can skip flossing or brushing or eat more fast food. All of these habits can contribute to the swelling of the gums. To reduce stress, you can try some stress reduction techniques such as taking deep breath, meditation, yoga, etc. Then, rub your gums with some salt for several seconds. After that, rinse it off using warm water. Repeat this process once daily. When your gums become healthier, repeat this remedy 3 times a week as a preventive measure. Use the salt water to rinse the mouth twice a day until your swollen gums subside. If you are looking for 100% certain way to treat swollen gums with pus, you do not skip this ingredient. According to a study about natural gum pain relief , vanilla extract contains antiseptic and analgesic properties, which have been found to relieve pain in the gums. The only thing you need to do is to use a Q-tip to apply 1-2 drops of vanilla extract on your affected gum. Leave it on for a few minutes and reapply it twice a day. Chamomile, peppermint and tea tree oils can be effective in reducing the pain of swollen gums. Both peppermint and tea tree oils are powerful antimicrobial agents while the chamomile oil can help reduce the inflamed and swollen gums. Apart from the essential oil mixture recipe above, you can consider using another oil mixture to reduce the swelling of your gums. · Then, swish your mouth this essential oil mixture for about 5-10 minutes. · Finally, spit it out and reapply the process 3 times per day. Tea tree oil contains anti-inflammatory and antibiotic properties, making it a great treatment for irritated and inflamed gums. 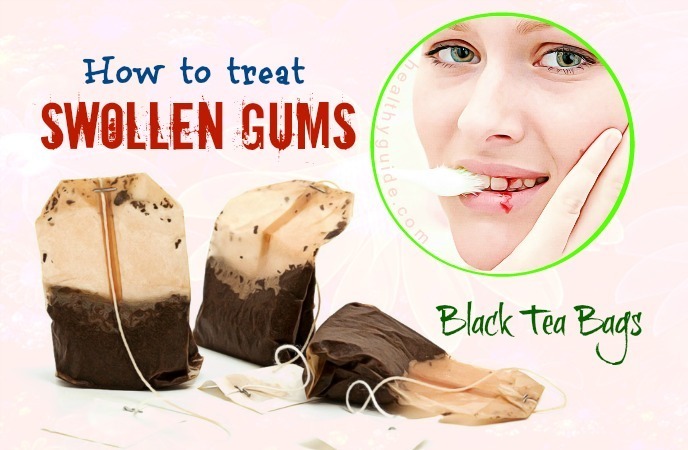 To use tea tree oil for swollen gums relief, you can follow either of the home remedies daily until your gums become healthy again. Add some tea tree oil to a cup of warm water and then use the solution as a mouthwash twice per day. Note: Never swallow tea tree oil because it can lead to stomach problems. This sounds strange when it comes to learning how to treat swollen gums and cheek, but it actually does work. This remedy can give you a relief from your swollen and inflamed gums. Camphor is an analgesic agent that can help to reduce the pain while castor oil has anti-inflammatory effects on your swollen gums. Here is the step-by-step instruction that you should follow if you want to relieve the swelling and inflammation of your gums. Then, gently apply this paste on your swollen gums. Reapply this home remedy once per day. Turmeric is also another great home remedy for how to treat swollen gums with pus. Turmeric contains a compound called curcumin, which has anti-inflammatory and antioxidant effects to help you reduce swelling, pain and inflammation. Moreover, turmeric also contains powerful properties that have been found to prevent the bacteria growth that causes many oral problems. At first, mix ¼ tsp. of powdered turmeric with some water to create a paste. Let it sit on for about 5 minutes before gently massaging for 1 minute. After that, rinse off your mouth using warm water. Reapply this home twice per day for 1- 2 weeks. Mix equal amounts of water and 3% hydrogen peroxide solution. Then, use this solution to swish your mouth for 30 seconds. Finally, rinse it off using warm water. Mix 1 tsp. of baking soda with the sufficient amount of hydrogen peroxide to create a paste. Then, apply this paste onto your gums. Leave it on for one minute before rinsing it off with warm water. Warm and cold compresses can give you a quick relief from your swollen gums. However, remember that you should hold the compresses against the face, not the swollen gums. At first, soak a clean washcloth in some warm water and squeeze the excess liquid. Then, hold this cloth against your face for about 4-6 minutes. Next, wrap some ice cubes in a thin towel and then use it to hold against your face until you feel a slight numbing. 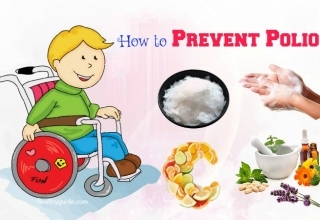 Do you want to discover other effective home remedies for how to treat swollen gums and cheek? Keep reading this interesting article and then try to apply any of these home remedies for good. Cut open a medium aloe vera leaf and then take out its gel. Oil pulling with sesame oil is a great way to treat oral health problems. This practice helps to reduce bacteria growth in the mouth, prevent plaque buildup and strengthen your gums. Now, if you want to treat swollen gums with pus, you can follow the instructions below. Repeat this home remedy every morning before you brush your teeth. Note: You do not swallow the sesame oil. Clove oil is another natural remedy for swollen gums thanks to its analgesic and antimicrobial properties. You can reapply any of the following methods every several hours. Many people who have swollen gums make use of baking soda to reduce the swelling and inflammation of your gums. Baking soda can do wonders thanks to its antiseptic and antibacterial properties. Besides, baking soda also helps to reduce the inflammation and pain of your gums. Henna leaves are worth mentioning in this list of great ways on how to treat swollen gums and cheek. Henna leaves contain antibiotic properties, making it a great solution for eliminating the harmful bacteria from your mouth. At first, boil some henna leaves in water for 10- 15 minutes. Use this water to gargle your mouth. Reapply this home remedy twice a day. 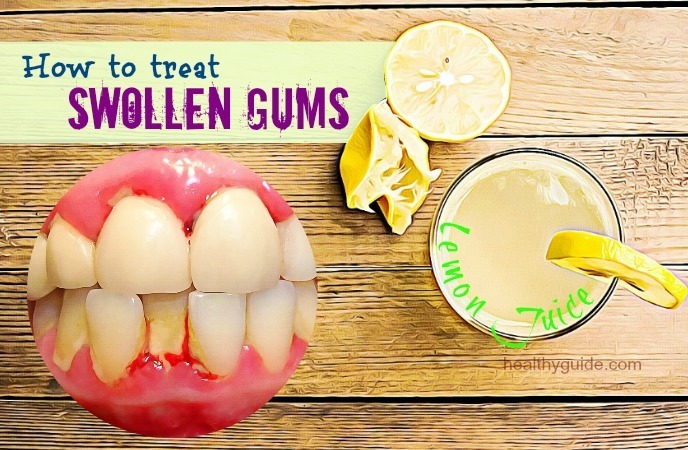 Another natural tip on how to treat swollen gums with pus is using lemon juice. Actually, lemon juice contains antimicrobial properties, which help to kill off microbes causing the swelling in your gums. Also, according to a study about lemon juice benefits , lemon juice helps to maintain the pH balance in your mouth. When it comes to learning how to treat swollen gums with pus, ginger is a really effective treatment for the swelling of the gums. Ginger contains anti-inflammatory and antioxidant properties, which help to reduce the swelling and inflammation in your gums. Apply this paste on your swollen gums and let it sit on for 10 minutes. 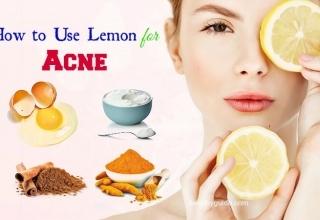 Reapply this home remedy 2-3 times daily. Another natural way on how to treat swollen gums and cheek is using apple cider vinegar, which is highly recommended for oral problems. Apple cider vinegar can help maintain the pH balance in your mouth, thereby reducing the infection and swollen gums. Simply, mix 1 tbsp. 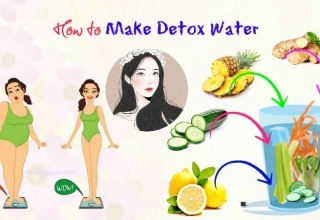 of apple cider vinegar in a glass of water and then use it to rinse your mouth. For the best results, reapply it 2-3 times per day. Babul can be used to treat many oral problems thanks to its ability to reduce plaque, and enhance your gums. Babul bark is one among great ways on how to treat swollen gums with pus thanks to its anti-inflammatory, antibacterial, astringent and antihistaminic properties. Firstly, boil some Babul bark in water until the water reduces 1/2 the original amount. Allow it to cool down for several minutes. Repeat this remedy for 2- 3 times per day. Mustard oil contains powerful anti-inflammatory, antifungal, and antibacterial properties, which can help to increase the blood flow to your gums. 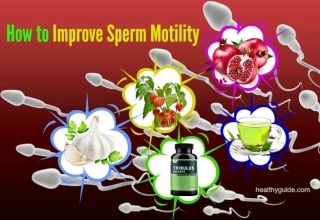 Besides, it also helps to prevent the growth of oral pathogens. 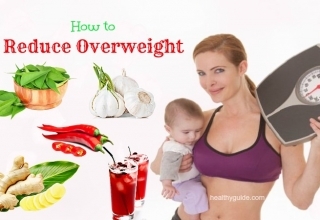 At first, add 1 tsp. of mustard oil to your palm. Next, add a pinch of salt to it before mixing them together. Finally, spit the oil out and rinse it off with warm water. Reapply this method twice per day. If you are looking for ways on how to treat swollen gums and cheek, you can consider using this ingredient. Alum powder contains antiseptic properties that can help to kill off microorganisms and germs in your mouth. Moreover, it can help to relieve the pain and inflammation of your gums. Repeat this remedy for 2- 3 times daily. These seeds contain antibacterial, anti-inflammation, anesthetic and antifungal properties, making them a great home remedy for relieving swollen gums. Firstly, grind 1-2 tsp. of roasted carom seeds until you get a smooth powder. Now, rub this paste to your swollen gums. Stir them well before using this solution to swish around your mouth for several minutes. Myrrh oil contains anti-inflammatory and antioxidant properties, which can provide you with a relief from inflammation and swelling of your gums. Besides, it can make your breath fresher; therefore, you can find this oil in various types of toothpastes and mouthwashes. Repeat this process 2- 3 times per day. The antiseptic and antibacterial properties found in honey can be effective in reducing the swelling of the gums. It helps to inhibit the bacteria growth in the mouth. To use honey for swollen gums relief, you just need to apply some honey onto your affected area when brushing. By doing it regularly, you will be able to reduce discomfort from your swollen gums. There are some other effective home remedies for how to treat swollen gums with pus in this article. So, you should keep both of your eyes on the rest of this article and then consider applying one or more of these remedies for good. We all know that garlic can be added into lots of tasteful recipes, but do you know that it can be used to reduce the swelling and inflammation of the gums? Garlic contains flavonoids and sulfur, which make it a natural treatment for swollen gums. The method of using garlic for treating swollen gums is so simple and here is the instruction for you. Firstly, mix some crushed garlic cloves or garlic powder with salt. Repeat the remedy daily within a few days. Fruit juice is good for human health and some of them can help to treat swollen gums naturally and effectively. The antioxidants as well as essential vitamins found in cranberry juice can help to prevent bacteria growth in your mouth. To treat swollen gums, you just need to drink about 4 ounces of unsweetened cranberry juice every day. To treat swollen gums with pus, you can try massaging your swollen gums using a cotton pad in a gentle way. 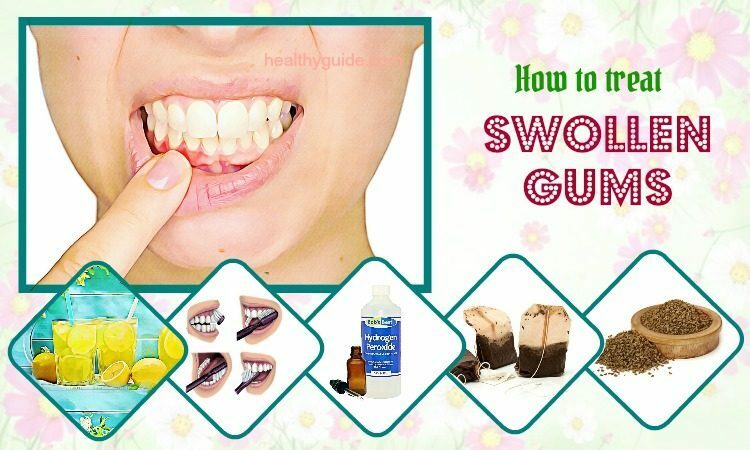 This method will help to increase blood circulation to your gums and give you a swollen gums relief. Remember to have clean hands and clipped short fingernails before doing this in order to prevent the bacteria from spreading. If you find hard to use your fingers, you can try using a gum stimulator. When you want to know how to treat swollen gums and cheek, you should remember that vitamin D can help to reduce the swelling and inflammation. In case you lack of vitamin D, you will have a higher risk of developing swollen gum disease. Addition to this, according to a research , vitamin D also helps to enhance the periodontal health and bone mineral density. You can take vitamin D from early morning sunlight or consume vitamin D- rich foods such as sunflower seeds, cod liver oil, salmon, whole eggs, milk, etc. Another option for you is to take vitamin D supplement. When you are learning how to treat swollen gums and cheek, you can consider taking multivitamin pills. These multivitamin pills can add iron, vitamin C and folic acid to your immune system. It can give you a quick relief from inflamed and swollen gums. Exhaustion can lead to puffiness in your gums. Therefore, you should aim at getting 7- 9 hours of sleep each night. You can try exercising to help you get a better sleep. You should also stay away from over-stimulating substances before bed. 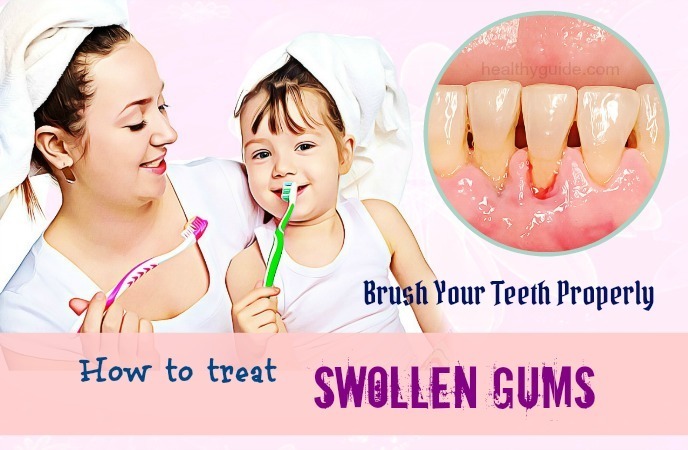 Actually, this is also one of the most effective ways on how to treat swollen gums with pus that we want to mention in this article and want all of my readers to apply for good. Use a soft toothbrush to clean your teeth without causing any irritation. You should not use medium or hard- bristle toothbrushes because they can cause swollen gums and even scratchy tooth enamel. Do not use increased force to brush your teeth because it can harm your teeth. Opt for gum- protecting toothpastes designed for gingivitis. This is another great way on how to treat swollen gums and cheek that you should not look down, yet try to apply for good. Flossing between your teeth regularly helps to remove the buildup of plaque and bacteria from your teeth, thereby helping to prevent the gums from swelling. You should try to gently floss in order to avoid irritating gum tissues. Also, you need to use a clean section of floss when switching teeth in order to prevent bacteria from spreading. When your gums are swollen, you should avoid any substances can irritate this swelling such as alcohol and tobacco products. As mentioned before, smoking can irritate your gums, so you should try to stop smoking in order to reduce the risks of getting swelling of the gums. Besides, harsh mouthwashes can also aggravate your swollen gums; therefore, you should also stop using them. You can dilute your mouthwash with water. Then, use it within 2 weeks and take a break for a week before repeating the treatment. 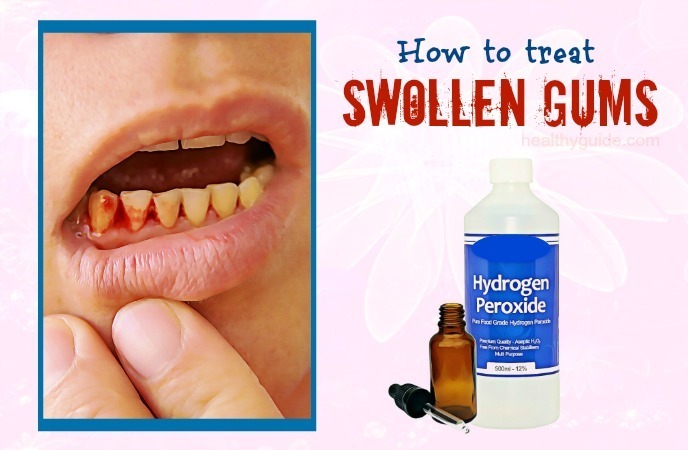 This is the last but very important one among great ways on how to treat swollen gums and cheek that you should know and then apply right from today. Having balanced diet plan is the key to healthy gums and teeth. Adding some certain foods to your diet can boost up the healing process and improve the oral health. Consume vitamin C-rich foods, such as kiwi, oranges, strawberries, bell peppers, pineapple, broccoli, cantaloupe, Brussels sprouts and kale. Consume foods containing folic acid, such as broccoli, beans, asparagus, lentils, peas and avocados. 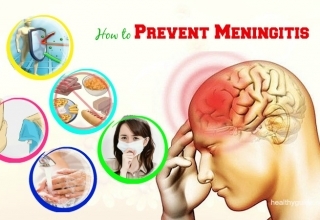 Avoid very hot or cold beverages and foods. Drink plenty of water to remove bacteria  and food residue from your mouth. Also, drinking water can help to increase the saliva production and kill off bacteria. Visit your dentist at least twice a year for a checkup. Although swollen gums are not harmful, in some cases, they can cause some serious complications like ulcers and tooth loss. Moreover, some studies have also found the link between swollen gums and heart problems such as stroke and heart attacks. So, if you are experiencing severe swelling and constant pain in your gums, you should consult a doctor as soon as possible. 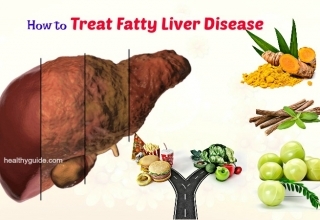 We wonder whether or not you can find the best solutions for your condition. 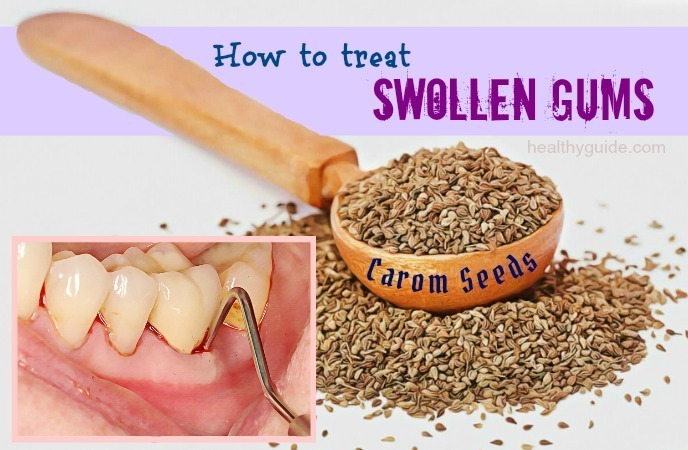 If there are any ideas about home remedies for swollen gums, feel free to leave your comments in the comment box below. We appreciate your contribution and will try to reply as soon as possible. For further simple but effective health and beauty tips, remember to visit our How To Page regularly.